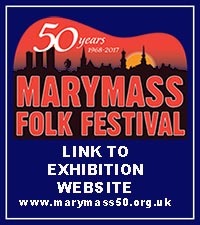 We are now in the 50th year of Irvine Folk Club and looking forward to the 50th Anniversary of the Marymass Folk Festival in 2017. 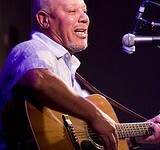 Pete Heywood has been working for some time on compiling a history of the club and festival. He would welcome any memories that you have, ideally by email or in writing. Here are a couple of questions that could help start the ball rolling. This post is set up so that you will be able to ‘comment’ on it and we can access your answers that way. Be aware though that we might have to switch off the ability to comment on the post if we end up getting too many Spam messages. Joan and Anne’s (and Elma’s) sponsored walk – completed but still time to donate!! Two Irvine Folk Club members – Joan Muir & Anne Clarke plus Joan’s dog Elma – successfully completed a fundraising sponsored walk on Sunday 19th May organised by The Tailor Craft – one of Irvine’s Incorporated Trades. The three intrepid walkers braved a warm breeze on a mercifully dry day to complete what must easily have been a three mile route. The sponsored walk was undertaken to raise funds for Irvine Folk Club. For anyone who wants to contribute but hasn’t had a chance to do so, the sponsor sheet will be available at the Folk Club this Wednesday 29th May when My Sweet Patootie are the guests. Speak to Joyce about making a donation for the fundraising sponsored walk. PS. Joan, Anne & Elma have now fully recovered from their expedition. News of the untimely death of Brendan Duffy has been received with much sadness. Brendan was a former MC at Irvine Folk Club, particularly in Redburn Hotel days and worked as a Planner at Perceton House with Irvine Development Corporation. He took ‘laid-back-ness’ to new levels. It was almost routine for Brendan to ask whilst MCing ‘What was it that I was to remember to say?’ He loved the craic and the camarederie that folk music brought and was himself a fine singer – but he didn’t think so. In recent years, Brendan coped with deteriorating health in a ‘let’s get on with it’ style. Having spent much of his retirement with his wife in Northern Ireland, they had been living in Kilmarnock for several months to be nearer to their son and daughter and their families. Brendan died peacefully at home in Kilmarnock on Wednesday 15th May and is survived by his wife Maureen and their son Ciaran and daughter Siobhan. 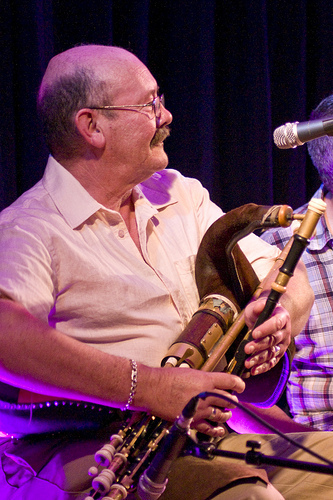 The sympathy of everyone at Irvine Folk Club goes to Maureen and the family. Brendan is fondly remembered.